Wrexham will be without striker Jordan White for two months. 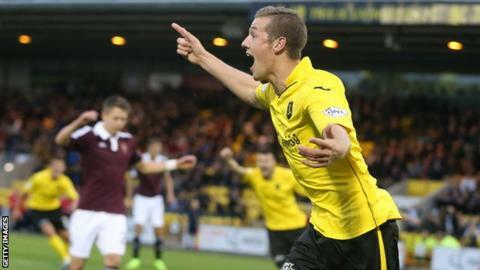 White, 24, who joined the Dragons from Livingston in May, is in hospital because of problems with his bloodstream. "They're trying to get to the bottom of it but it more or less paralysed him for a while because he couldn't move," Wrexham manager Gary Mills said. "He's got to go on a course of antibiotics for eight weeks without any exercise or anything." Mills added: "We wish him well and hopefully we can get him back as quickly as possible." White's illness could force Mills to sign a striker ahead of Wrexham's National League season opener against Dover Athletic on 6 August. Mills has further added to his squad with the signing of former Northampton Town and Cambridge United goalkeeper Chris Dunn. Dunn has signed a one-year contract and will also be the club's goalkeeping coach. The 28-year-old has been training with the Dragons during pre-season and will provide competition for Shwan Jalal, who joined from Macclesfield Town in June. "That gives me two top keepers in this league," Mills told BBC Wales Sport.